Brown butter is the better butter. Like, seriously. Since I know it, I want to eat boiled mini potatoes dipped in melted brown butter, sprinkled with sea salt flakes, all day. Braune Butter ist die bessere Butter. Seitdem ich die nussige Abwandlung zum ersten Mal gegessen habe, koennte ich tag-taeglich in den braunen Butter Topf tauchen. Ok. 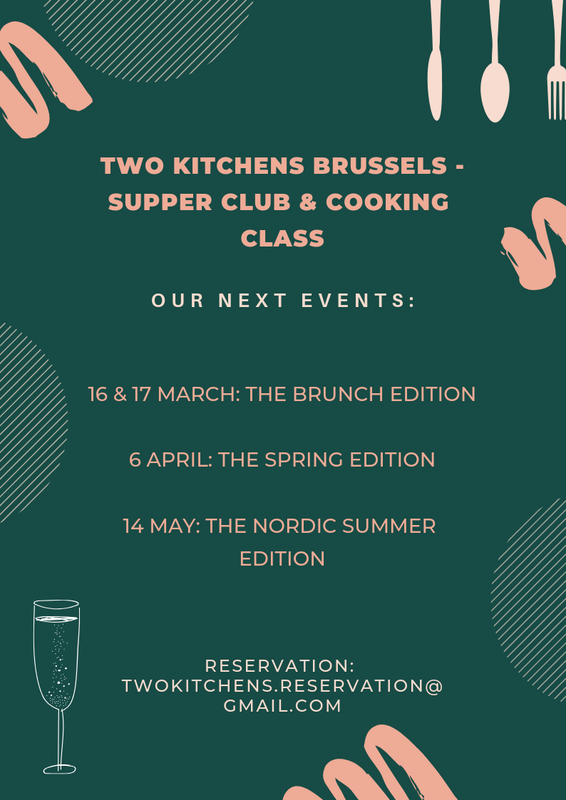 So Sophia and I hosted this pretty cool Brunch event as part of our Two Kitchens Brussels Supper Club & Cooking Class series (Click here to check this out). Deutsch: Letzte Woche lag ich krank im Bett und habe literweise heisses Wasser mit Kurkuma, Zitronensaft und Ingwer in mich hineingekippt. Um das Ganze etwas aufzupeppen, hab ich das Rezept einfach in Scones umgewandelt. English: I've been sick last week and was consuming hot water with turmeric, lemon and ginger all day long. It helped and I got inspired to bake these scones. 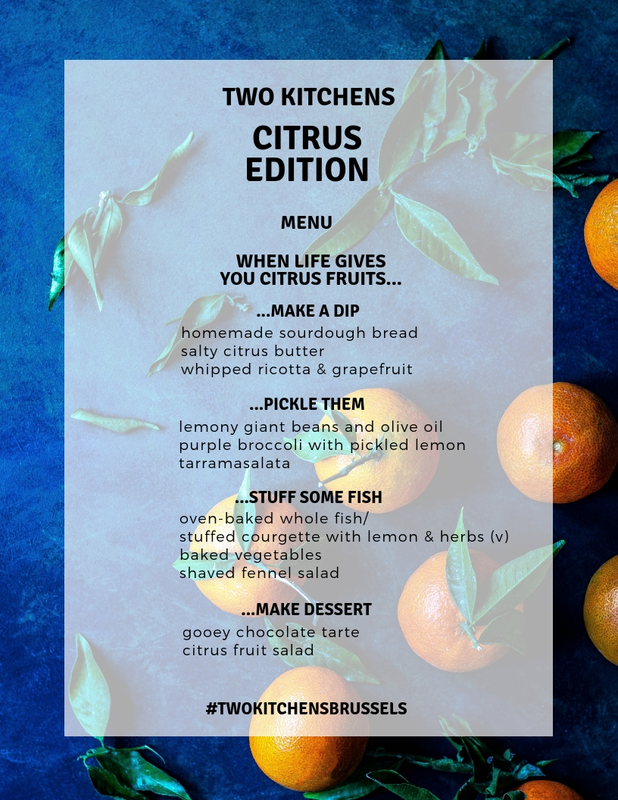 REGISTRATION: twokitchens.reservation@gmail.com send us an email until 25 January latest for the first class and until 19 February latest for the second one. WHAT: A cooking class to get to know new ingredients and cooking techniques or to just learn some basics. And later a seated dinner to meet new people and talk about your favourite places to eat in Brussels or anything non-food-related. 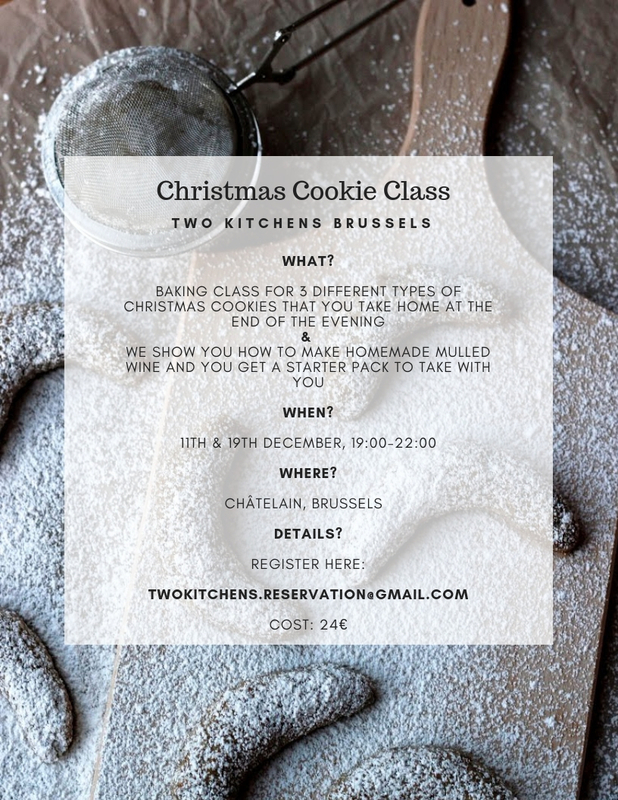 WHERE: In Sophia's kitchen in Chatelain, Brussels. WHO: Anyone who is keen to learn about food or just to eat it and who is a friend of flavours and aesthetics in the kitchen. Alone, with friends, colleagues, it's up to you! Ich kriege einfach nicht genug von grilled cheese Sandwiches. Geschmolzener, warmer Kaese zwischen zwei Scheiben buttrigem Toastbrot. Von spanischen Zutaten kriege ich auch nicht genug. Dude, I can't get enough of grilled cheese sandwiches, I also can't get enough of Spanish food and ingredients.